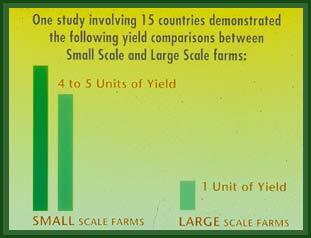 • The selection of key development and farming participants. This process was in one sense begun in 1989 by Juan Manuel Martinez Valdez as he began the Less Is More Program’s food-raising work in Mexico. 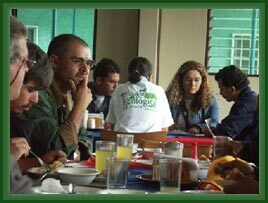 Juan, Director of ECOPOL, works well with campesinos, technicos, university staff and professors and politicos. His alert mind and genuine love of and caring for people during his over 40 years of public service work give him a quiet astuteness that everyone enjoys. • Jack Perella from his Finca del Lago Farm in Costa Rica asked John Jeavons, Director of Ecology Action in Willits, California in the year 2000, if he would come and teach an economic mini-farming workshop in Costa Rica. The purpose of this event was to give small farmers a more competitive edge in relation to larger farmers. 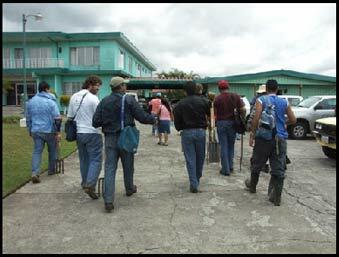 Jack’s perseverance and astute selection of key farmers and development professionals to be Costa Rica participants, as well as facilities and demonstration sites for the Six-Day Workshop also made a difference. The quality and caliber of the participants chosen and encouraged by Juan and Jack was incredibly good and made up a very proactive cooperative group. 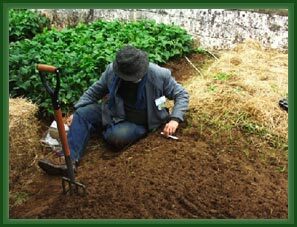 • John Jeavons replied to Jack’s request for Biointensive training that he would love to give the workshop, but, because his schedule was so busy, he would like the event to be for all Spanish-speaking peoples. Thus began a process of locating those best able to benefit and share the information and skills. Next, the funding needed to be raised at a level to bring participants and facilitators from 18 countries in a Peak-Oil world to Costa Rica and provide good lodging, food and conference facilities. • History played an important part as well. The increasing cost of fuel and other fossil-fuel based farming inputs, increasing degradation of soils, water shortages, rising population levels, a desire for food security and political stability provided high levels of motivation for people interested in being able to be more self-reliant. 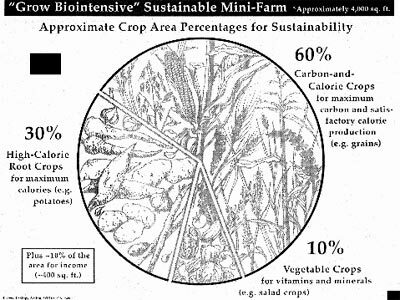 GROW BIOINTENSIVE Sustainable Mini-Farming demonstrated the capacity to bring expenses within reach through: its use of locally available inputs, a high energy and water efficiency not dependent on the use of fossil fuels and by being a practical way for community members to work together to create better communities and thriving mini-ecosystems in which to live. 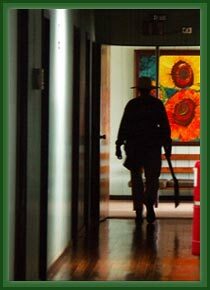 • The holding of the event at ICAES (Instituto Centroamericano de Estudios Sociales /Central American Institute for Social Studies) which is a perfect low-key, pleasant location with friendly staff, good food and good lodging. • The event was opened by the Costa Rican Minister of Agriculture for the President of Costa Rica, who had planned to give the inagural speech, but was busy briefing the new Costa Rican President-Elect. 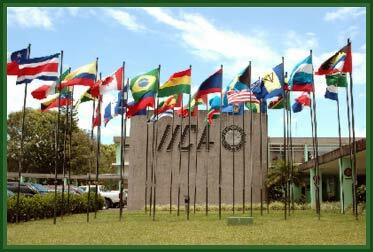 • The placement of the initial morning introductory presentations with over 200 people present at the Institute for Interamerican Cooperation in Agriculture - IICA, an internationally respected organization with 34 country members. IICA now wants to be a key conduit for Ecology Action GROW BIOINTENSIVE information through its Del Cedadi communications section, including publications and courses throughout Latin and Central America and the Carribean. Its members are: Antigua and Barbuda. Argentina, Bahamas, Barbados, Belize, Bolivia, Brazil, Canada, Chile, Colombia, Costa Rica, Dominica, Dominican Republic, Ecuador, El Salvador, Grenada, Guyana, Guatemala, Haiti, Honduras, Jamaica, Miam (Florida), Mexico, Nicaragua, Panama, Paraguay, Peru, Saint Lucia, Spain, St. Kitts and Nevis, St. Vincent and the Grenadines, Suriname, Trinidad and Tobago, United States of America, Uruguay, and Venezuela. John Jeavons’ two-hour presentation on GROW BIOINTENSIVE and its relevance in today’s world was simulcast to all of IICA’s offices in this network. The Mayans in Guatemala 1,000 years ago thrived with local neighborhood Biointensive food raising when other Civilizations disappeared due to inability to cope. • During four of the mornings, demonstration gardens were made by the participants as part of their training. These mini-farms were created at a high school, three elementary schools and other key locations for a total of nine sites. The participants commented on how much they enjoyed doing this and how they got to know each other and to work better together as a team in this way. The participants got as much out of working together as from the information and skills imparted. • 15-minute PowerPoint presentations were given by participants from each of the countries during four of the evenings. These were well done, informative and enjoyed by all. We came away with a good feeling about the things being done to make the world a better place in which to live. On the last afternoon, two PowerPoint presentations were given of color photos taken by professional photographer Amy Melious and put together on the computer by Salvador Diaz, who was an Ecology Action Intern last year. One presentation was of the event as a whole and the other was of the development of the newly established demonstration mini-farm gardens. • The fiesta dinner was held on the last night. It had amazing local music played by young people of high school age, a humorist, dancing to the music by participants, dancing by local people in costume, a fire dancer from Mexico, who was also one of the participants, and additional music played by some of the participants from Costa Rica and Mexico. A wonderful bonding occurred beyond anyone's expectations, everyone really enjoyed the Workshop, I have never seen so many truly happy people in one place after any training, and a living Spanish-speaking world plus Brazil, Italy, Canada and the U.S. team was catalyzed. Most of the participants spontaneously expressed a strong desire to truly implement the Method in their areas. The Six-Day Workshop occurred during another important time in history—not just at the intersection with the upcoming Post Fosile Fuel Era. Unlike most of the rest of the world, the Latin and Central American, Carrbbean and Brazilian Region has, on the average, twice the farmable land per person than is needed—even though some countries, such as Colombia, Costa Rica, Haiti and Venezuela have more or less enough. The Region is also rich in resources including oil, trees, food and minerals. To feed these new visitors to the planet requires 13,000 hectares, or 34,000 more acres, of farmable soil in the world each day. It is not happening. The Workshop allowed the participants time to reflect on this era and how they might proactively create the best possible future for themselves and the other three-quarters of a billion people in their region. • ECOPOL will need an administrative aide, and more travel funds will be required in the short-term to accelerate the transfer of skills. The Workshop report below seems to demonstrate that a relatively low-budget initiative can have a major impact. Most of the initiatives for The Future can have parallel leverage, but, as many more countries become involved and more initiatives occur, a significant amount of focus will need to be spent on funding of key projects. The following is a summary of the participating countries, activities being pursued by them and strategies for the future. 1. 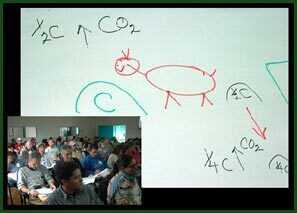 Argentina: Fernando PÌa is still in charge of the activities of the Biointensive Method in the southern part of Argentina and people that have taken courses with him are putting the Method into practice. However, since a national extension program does not exist for northern Argentina, more needs to be accomplished. After visiting the rest of the countries in the continent, Juan Manuel Martinez Valdez is planning to increase the work with universities and organizations in the north. Some of them have already taken a course with him in Paraguay but they were not able to attend the Costa Rica Workshop because of funding limitations. 2. Belize: ECOPOL made an agreement with Ana Maria Choo and Armando Choco to organize a three-day workshop in their communities and give talks at universities to invite them to participate in Biointensive activities. The probable period for these is at the end of May, 2006. One extraordinary activity going on in Belize is the growing of cacao by native peoples for income. These people are already self-sufficient in land and food, but have been able to earn the national average income by just growing this crop on a part time basis with conventional farming practices. This was a good example of effective local initiative for everyone at the Workshop. 3. Bolivia: Two Biointnensive training workshops will be given in August 2006— one in Santa Cruz and another in Cochabamba. ECOPOL and the local organizations will try to involve at least one university in each area. In addition, Ecology Action has already accepted Anel Rojas Gonzales from Bolivia as a six-month Intern for its 2006 growing season and is considering a second candidate from Bolivia as the result of the Costa Rican Workshop. Bolivia is one of the most impoverished countries in the world and the second candidate and his wife are interested in establishing a GROW BIOINTENSIVE Mini-Ag Center/Soil Test Station there. 4. Brazil: A workshop for farmers and promoters from Ecoa, Rede Pantanal will be given October, 2006, when the flooded lands of the marshland drain for some months (and there are fewer mosquitoes). After that, Juan Manuel will visit two universities in Curitiba and will invite them to take part in Biointensive activities through the signing of an agreement. 5. Colombia: Don Ramόn Montoya, IICA’s Ambassador for Costa Rica, offered to arrange an ECOPOL visit to a group of Colombian universities in September 2006, to give some talks and invite these institutions to promote the Biointensive Method through their extension programs with communities around the country. The professors from this country that participated in the Workshop were enthusiastic about the possibility of establishing a research center for the Method at the Universidad Catolica de Oriente. There is an awareness in Colombia, which has little more than enough farmable land to feed its population with locally grown food, that for food security and political stability the low income people need to be able to raise their nutrition with locally available resources. John Jeavons spoke with Don Montoya, who will soon be retiring to work in Colombia, his native country, about the desirability of a 15-year strategic plan being developed for Colombian food security—especially in light of the high level of food importation occurring in Colombia. 6. Costa Rica: Our host country is the most complex one due to the number of participating organizations; however one of our Workshop’s co-sponsors, the Movimiento de Agricultura Organica Costarricense (MAOCO) and some participants from the Ministry of Agriculture and Livestock (MAG) requested a visit by ECOPOL to give a course to some producers from two of their main working areas. The probable date for this is in late November 2006. MAOCO has also expressed interest in a national Biointensive Workshop to occur in March or April 2007, and in establishing a project to produce strong D-handled spades and forks for Central and Latin America using local factories. Both of these projects are under active evaluation. 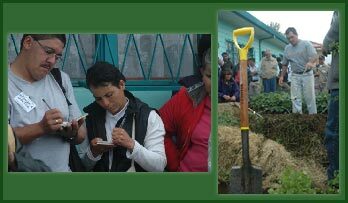 There is interest in a 40-Bed Mini-Ag Center/Soil Test Station being part of INA–Instituto Nacional de Aprendizaje (Nacional Institute for Learning). This is the Costa Rican Agricultural Research Farm just an hour away from where the Workshop was held. In addition, Felicia Echeverria Hermoso, one of the main organic farming movement forces in Costa Rica, a top aide to the Costa Rican Minister of Agriculture and Livestock, and a Workshop participant, is interested in having a similar Center/Station on the farm area she has just obtained. Reinhold Muschleer, international consultant on agroecology, agroforestry and organic production in the tropics and expert on tropical compost was an active Workshop participant and was an information and publication resource for everyone. He also volunteered to translate into Spanish the second edition of Ecology Action’s Growing to Seed Self-Teaching Mini-Series booklet on how to grow all your seeds in the smallest area while preserving genetic diversity. In addition, one of the Costa Rican participants is seriously considering building solar seed dryers for the tropics through his company, Sol Verde Cooperativa in Guanacaste. He is already building solar dryers and successfully teaching women how to build them to lighten their domestic workload. Tropical seed dryers are very important for the humid tropics, since it is difficult to get the seeds fully dry and that greatly impairs their storage life. Long Island University sent five of the US students taking an Internship in Biodiversity at its Costa Rican site to be participants in the Workshop. One from Arkansas expressed a strong interest in participating in a six-month Internship with Ecology Action in 2007. 7. Chile: The Biointensive practitioners from Chile are going to notify Juan Manuel of the most convenient date to give a course and will identify the most likely university to actively participate in Biointensive research. 8. 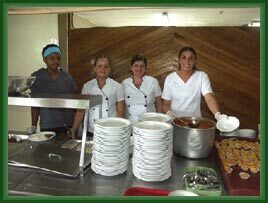 Ecuador: Mercedes Torres Berrones, Director of ADYS (Self-Sufficiency, Development and Society), a non-profit organization, is continuing her many Biointensive projects and is now working with the Universidad Tècnica del Centro. This university will actively join the network to incorporate lines of investigation about the Method in the Andean region. A major accomplishment last year was the Ministry of Agriculture’s establishing an annual $50,000 amount for Biointensive in its budget. A major part of these funds is being used so ADYS can train children and their families in Biointensive, so the children will be able to have enough food to eat without having to go to work at low paying jobs in less than optimal work environments. 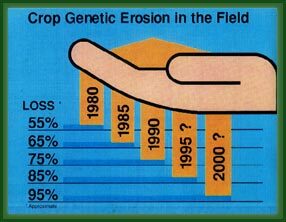 It is also hoped that ADYS will soon have a 40-Bed Mini-Ag Center/Soil Test Station as a national demonstration, learning and training resource. 9. El Salvador: The five representatives from the Salvadorean delegation were some of the most interested people in working with the Method as soon as possible. In order to do so, they will organize one or two workshops for a minimum of 20 organizations. Probable date: the second week of November 2006 with Juan Manuel participating. These representatives were not from non-profit organizations with budgets, but were from volunteer organizations, whose staff work at other jobs for income. They indicated that this works best, because their organizations do not collapse with fluctuations in funding. A goal of this group of five organizations is to obtain 200 sets of digging tools for use in their programs over the next two years. This group also said it wants to send an Intern to Willits for an Ecology Action six-month Internship during 2007. One representative, Francisco Antonia Rodas of the Asociacion de Productores de Regantes al Almendro Abajo, described his project as providing 300 Biointensive growing beds for 100 essentially homeless children! 10. Guatemala: Due to the geographical and cultural closeness with the Mexican Republic, this country can be visited as soon as they organize a workshop. They offered to organize a 3-day workshop. Probable date: September 2006. 11. Mèxico: A wonderful surprise is that Ricardo Romero and Karla Arroyo Rizo are developing their skills as speakers and administrators of the Las Cañadas program in Veracruz state more and more. With the addition of Anja Lyngbaeck to their staff, they promise to be a tremendous team that in a near future could become one of the most important demonstration centers of the Biointensive Method in the Spanish-speaking world. Las Canadas already has a 40-Bed Mini-Ag Center/Soil Test Station and they will soon have five staff members skilled in overall Biointensive with each specializing in one of the following areas: Soil and Compost, Diet and Nutrition, Trees, Seeds and Income. They already have facilities for short-term workshops and lodging for up to six longer-term Interns. As a result of a new Ecology Action GROW BIOINTENSIVE Goals paper and conversations between Ricardo and John Jeavons, Las Canadas will soon have a three-tier program of learning opportunities for Biointensive: One-Week, Three- to Four-Week, and Six-Month. Karla has begun a seed growing economic mini-farm and the University of Chapingo will be studying its effectiveness this year. Dr. Angelica Ma. Arango H., Academic Director of the Mexican Institute de Diencias Avanzadas, A.C., also a Costa Rican Workshop participant, expressed interest in supporting Biointensive work during a meeting with John Jeavons. Two six-month Special Interns from Mexico are already scheduled for Ecology Action’s training program in conjunction with the Golden Rule Community. They are a couple from Aguascalientes state, Jose Augustin Medina Macias and his wife, Marisol Tenorio Lopez. 12. 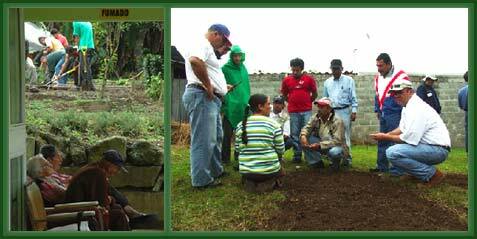 Nicaragua: In November 2006, ECOPOL will be giving a course to some small scale organic producers in Jinotega that want to use the Method to reduce their food dependency and to produce organic seeds. 13. Panama: Panama is working on scheduling a Biointensive course for sometime in the first months 2007—possibly with other participants from the Workshop teaching. 14. 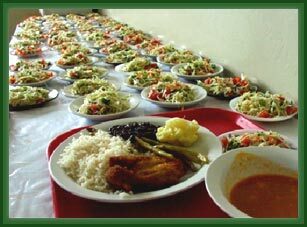 Paraguay: In August 2006, after he finishes giving workshops in Bolivia, Juan Manuel will visit Paraguay and will join Fernando PÌa to teach a course there. This visit is of particular importance because the Paraguayan Foundation and its farming school have among their plans the production of organic seeds and the installation of a GROW BIOINTENSIVE demonstration garden for demonstration and research. Juan Manuel suggested that they establish a 40-Bed Mini-Ag Center/Soil Test Station. They were interested and will hire one more person to be able to do so. Already this school has 800 Biointensive growing beds run by a graduate of EARTH University. The school’s 100 students work the growing area as part of their 3-year farming education program. 15. Peru: Juan Manuel will spend three weeks in Peru during June 2006: one to take a course about organic seeds with Dominique Guillette, another one to give a course in Cusco with Ruth Huayta Mango, a Costa Rica Workshop participant, and the last week to attend the organic agriculture annual fair in which three conferences will be given to the participants and the working area of the Instituto Rural Valle Grande high-altitude herb farm will be visited. This institute is planning to use the Biointensive Method in their “andenerÌas” (Incaic balconies from the prehispanic period). The two proprietors of this institute have been doing Biointensive for some time, were participants in the Costa Rican Workshop, market USDA Approved organic herbal teas of high quality, and also employ children in the harvesting of the herbs, so they will have healthy jobs and a positive farming experience. Juan Manuel will also visit the national university to invite them to participate in a line of investigation to compare present yields in those “andenerÌas”. Ag Center/Soil Test Station for the people of Peru on her farm. 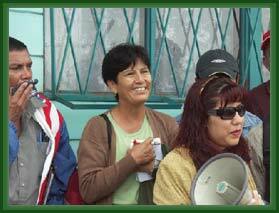 Tania Zuniga Moreno of Peru, also a MESA-sponsored farming student in 2005-2006 in California will be assisting her. Tania received a 3-Day GROW BIOINTENSIVE Introductory Workshop scholarship and was a participant in the one given in March 2006. Yesica is also sharing her learning with two Peruvian university professors. 16. 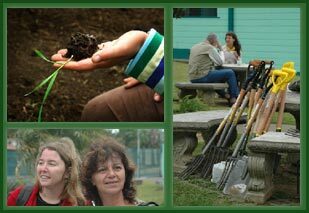 Uruguay: In May 2006, people in Uruguay will begin giving courses to young people to teach the Basic principles of the Biointensive Method (like was done for years in Palo Alto, California by Ecology Action and which is still done). 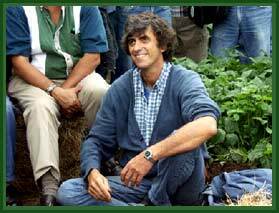 Before the year ends, they will propose a date for a visit by Juan Manuel to give a course to organic producers in Montevideo. 17. 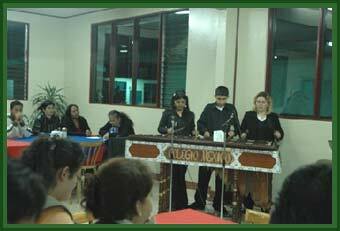 Dominican Republic: With the participation of the Universidad Catόlica a workshop will be given in the communities of organic peasants in July 2006. This is one of the most interested countries in starting the practice of the Method immediately. 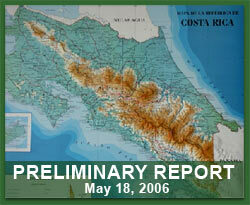 They consider this urgent due to their geographic situation and closeness to Haiti. 18. Venezuela: In September 2006, after visiting Colombia, Juan Manuel will be giving a course in “El Convite”, the center of a Venezuelan participant at the Costa Rican Workshop. Other Venezuelan NGOs that are interested in spreading the Method will be invited. Future Budgets and Funding: All the countries requested a visit by ECOPOL, because they want us to be with them when they give their first workshops. We asked each of the countries to look for funding to pay for the airplane tickets through their organizations. This is not likely to be possible. Alternately, some of their governments can ask the Mexican Embassy for support, due to the fact that there are technical cooperation agreements with some of the countries involved. Some additional travel funding will also be needed to make all the trips possible. The food and lodging and transportation expenses within each country are covered with ECOPOL’s regular budget and the people who organize the workshops in each country. Interaction between participating countries: It happened spontaneously among some countries during the workshop. In addition, we will continue promoting this with the purpose of strengthening the friendship and exchange of experiences between all these countries. Attendance: The biggest number in the classroom was 130. Between 10 and 15 Costa Rican participants were absent in some periods during the workshop because a law to promote organic agriculture in Costa Rica is being approved in the Chamber of Deputies of that country. All the people that participated in the workshop signed a letter in which we requested the Chamber to void a motion presented by one of the deputies to postpone its approval. Hoping that you are fine and satisfied with the results achieved in your workshop, I’m writing on behalf of Juan Santos and myself to thank you enormously for all the efforts you made to make our attendance to said workshop possible. Not to mention the efforts made in Coronado so that all of us would feel comfortable and at home. We really seemed to be a family that had wanted for a long time to see each other again, and that was the place to meet. I’m saying this because organizers and participants were all the same, there were no differences or distinctions made, so all of us felt were at the same level and “among our families.” THANKS FOR THIS OPPORTUNITY. I’m writing today because I arrived home on Sunday night because the plane that was going to take me from Costa Rica to Miami broke down and couldn’t leave until late that night. So I had to stay in the United States for one more day until I was able to get a flight to travel to my country. But everything went well thanks to our patience and calm and especially thanks to GOD. I’m with my family right now and tomorrow I’ll return to work. I think that I will start spreading and diffusing the BIOINTENSIVE METHOD today. I had a conversation with a couple of coworkers from the university and they went crazy and said they wanted to promote and program the first talks. Well, I think that I’ll stop for now because in the future I will write more to tell you everything about this. THANKS FROM THE BOTTOM OF MY HEART. I HOPE NOT TO DISAPPOINT YOU AND TO BECOME A GOOD PROMOTER OF THE METHOD. A person from Guatemala realized his passport had expired when the people at the airport checked his documents. He got to the workshop one day later. Marco Vinicio. Another man from Guatemala–Cesar Lineo—was visiting Peru and was stranded there for two days between two rivers due to landslides. He arrived three days late. A man from Bolivia–Roberto Pozo—missed his flight because the level of a river rose and so he couldn’t get to the airport on time. He was not able to find another ticket and therefore could not attend the workshop. A group of 4 Mexican people did not attend because their leader’s father died. He died one day before they were supposed to travel. Two men and a woman from Peru got their visas at the last minute and were able to attend! Five indigenous people from Colombia were not able to find funds to attend. The exotic touch came from the participants from Belize. All of us were amazed at the fact that they are Mayans (pure) and that they speak English! Celso Tarcisio Roso of Brazil captivated the participants when he gave his presentation in Portuguese. All of us understood his Portoñol (a combination of Spanish and Portuguese) and never felt closer to Brazil. In addition, his energy was fantastic! 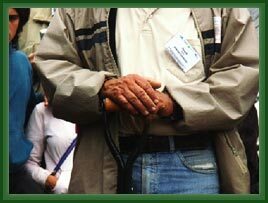 Approximately sixty Costa Ricans attended the event, representing every major agricultural region of the country, from the Pacific to the Atlantic and border to border. All important organic growing coops and growers' groups had at least one participant and many paid through locally raised funds. There has never been a practical workshop in Costa Rica with this broad attendance. Many of the participants, and the groups they represented, were known to each other only by reputation, and even Ticos (Costa Ricans) had to read name badges to know their 'neighbors.' A very important group of participants were the fifteen field agents of the Ministry of Agriculture and Livestock (MAG) who attended. They represented all parts of the country and are officially charged with supporting organic production." It is already clear that many local events will be held to share what was learned at the workshop. 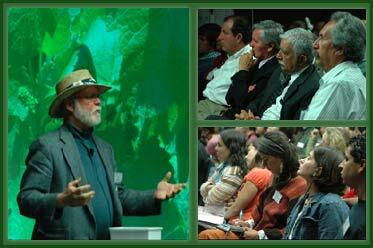 The event served not only to impart knowledge but also to bond growers in a common experience. Jack Perella, the Costa Rican Coordinator for the Workshop says, “Costa Rica may become the most 'double-dug' (per capita) country in the world." This is an elementary school that is a close neighbor of Finca del Lago and a personal project. Jack Perella and his wife Brigitte have supported the school for over ten years in a variety of ways. The Director, 6 instructors, and 18 students attended Monday’s inaugural event. While the area developed had been used before as a vegetable garden, long neglect made the site difficult, with hard soil and uneven ground. The number of beds needs to increase, and Jack is going to send his workers to train parents and staff. The site itself is well-protected from both wind and intruders, and can be further developed. This was the dream site. 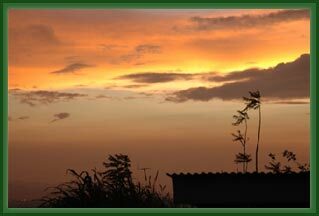 It is near to Escuela Gutièrrez, but has been a working organic farm for years. The soil was loose and fertile. The team was able to develop over 20, 100 sq ft prime growing beds, and cut green material for compost for use at other field sites that needed this. The owner, Cristina RodrÌguez, is an older woman who simply did not have the physical strength necessary for double-digging. Now that this has been done, the beds can be maintained. This parcel will† become a model of organic production. Cristina receives school children to learn about gardening regularly, and agriculture students from the University of Costa Rica do their field work with her. The forecast for this site is excellent. This is a senior citizens home in the center of Coronado, next to the Centro Agricola. They have had a vegetable garden for years, but never one that was properly planned or developed. When the work group left, a central section had been developed and a compost unit added. Four residents received training, and were happily integrated into the work crew. This site provides both food and therapy. The prospects for development are excellent. 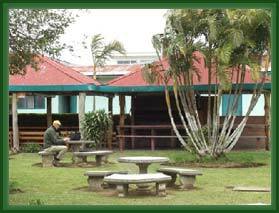 This is the largest elementary school in Costa Rica, with 1600 students in two shifts. 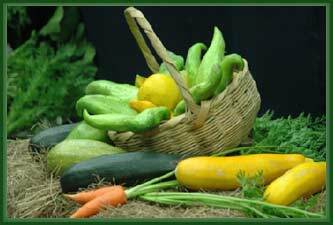 The need for fresh vegetables in their cafeteria is obvious. 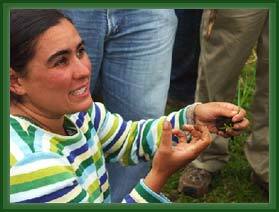 The Director, Rosa Otiz, attended the entire workshop, has enormous energy, and is dedicated to organic agriculture. The site is relatively small, with about 10, 100 sq ft growing beds with good soil, but hidden pipes and concrete slabs under the soil made the work difficult. The site also has drainage problems. The school has many unused areas that can be developed in the future, and the present site should be viewed at a preview of future work. This is the local high school, with about 1200 students. The enthusiasm could not be higher. Many students and instructors spontaneously came to work on the site, and at the end of the workshop ten beds had been developed. The Board of Directors of the school is willing to invest money to build a fence to protect the site. This garden was long-planned by the school, but there were never enough resources to build it. Now it is started. If enthusiasm and commitment can build a garden, this is the place. This is a senior citizens home run by a Catholic order of nuns, who prefer to be anonymous in their work. The situation at the site is similar to that at the Centro Diurno, except that they have a professional gardener who received training. There has been a vegetable garden for many years, but this was substantially upgraded during the workshop. 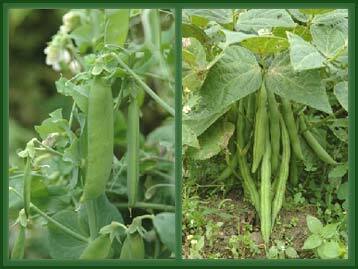 Their interest is not only in growing vegetables but in developing theraputic gardening. IICA has had a vegetable garden for a couple of years, developed by their two gardeners in their free time. The leader of the work crew reported that, in spite of the history of the site, it was not well developed, and many stones were found in the soil. Both gardeners received training, have started compost production, and will have the maintanence of the site as part of their duties. Because they are professional staff, and because the Costa Rican delegation to IICA is directly interested, this site is very likely to be maintained. This farm is the property of Antonio Leitόn, the Costa Rican coordinator for Long Island University. He was formerly a member of the local Finca del Lago producers' group (as was Cristina) but his University duties kept him from properly developing his site. LIU students come to his farm for training in ecology, and now this garden and Biointensive techniques will be part of that training. This elementary school sits on a windblown hilltop which we dubbed "Heartbreak Hill." In spite of this, the team did a tremendous job building a 200 sq ft double-dug bed and compost unit. This was our most difficult site, and will require a windbreak (designed by John Jeavons during his visit) to survive. The will is there, but so is the wind. 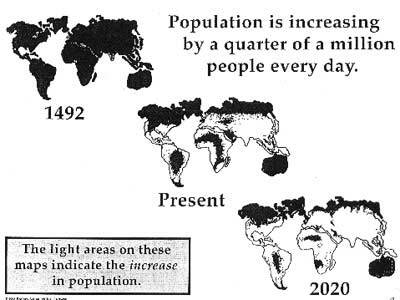 It we can keep this site growing, Biointensive will work anywhere. The test for all of the school sites comes soon with Easter Break. If those responsible water the gardens during this week, the commitment is real. If the gardens die, it was just initial enthusiasm. Jack will review all of these sites the week of April 17 and the non-school sites April10th-14th. * From Tuesday the 28th to Thursday the 30th at night, the participants spontaneously presented to the group the projects they are working on and in which they are planning to include the Biointensive Method. Fabián was born 27 years ago and was raised in a family with idealistic values and principles in a rural area in the Costa Rican Pacific. 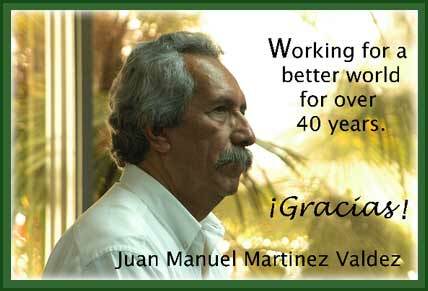 He grew up seeing people working the land, and since he was a little boy he felt attracted by the peasant movement of his region. That’s when he discovered his agricultural vocation. 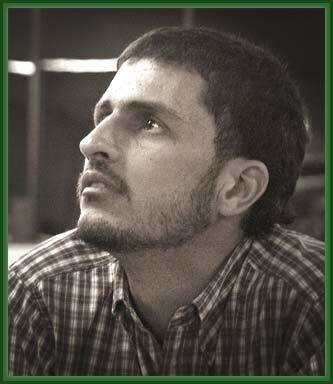 Fabi·n became an activist and has participated in the Movimiento Ecologista Social (Social Environmental Movement) since he was 15 years old. This movement is for him like a family that not only creates alternatives but is also unwilling to accept a world that constantly looks for privatization and sterilizes the planet’s biosphere. Later, he became a graduate in Agriculture at EARTH University. Since then he has actively participated in different organizations and has fought for the rights of indigenous people, environmental groups from Costa Rica, Creole (heritage) seeds, and a Latin America free of GMO’s among other things. He is also a producer and a broadcaster of a national radio program that talks about topics related to social ecology. One day he was searching for more information about agroecology on the Internet and was suddenly attracted to the GROW BIOINTENSIVE model, and so he decided to contact Jack Perella (a Biointensive Method expert in Costa Rica) and ask him for more information. The proposal presented by Jack motivated him even more, and in the year 2003 he decided to go to Willits, California, in order to do a 4-month internship with John Jeavons to learn more about the Biointensive Method. His contact with Ecology Action changed the course of his life because he deeply connected with its people and its goals. To Fabian the GROW BIOINTENSIVE Method is an ideal tool for agroecology that incorporates a production model to rescue seeds and to achieve a sustainable and efficient food sovereignty within anybody’s reach. Fabian is currently working as a professor at the Centro Especializado de Agricultura Org·nica (Specialized Center in Organic Agriculture) at the INA–Instituto Nacional de Aprendizaje (Nacional Institute for Learning). There he has given a lot of workshops to indigenous communities in Costa Rica and has discovered that the people connect with the Biointensive Method very quickly and effectively because it is an easy to understand method based in the ways of the environment. His vision is to continue working as a professor, to carry out pilot projects with Biointensive Agriculture at the INA Center, to continue working with environmental movements in all Latin America and in the far future to retire, lead a quieter life and produce his own food in a natural, sustainable way. For the moment, he feels that he still has a lot to give to communities regarding training and direction. Ten or fifteen years ago, the Instituto Rural Valle Grande (Rural Institute Valle Grande) which belongs to the Catholic Church (Opus Day www.irvg.org) started a project in the Peruvian mountains. Currently, the Institute is working with 11 mountain communities and benefiting with productive projects children from 7 elementary schools and 300 families. The objective of these projects is that the children value their parents’ small farms and learn organic agriculture techniques in their schools’ plots so that later they can carry out these techniqueds in their homes. In this way, when the children finish school they will go back to their small farms and achieve food security. The projects are carried out in the schools’ plots, and it is stipulated in the curriculum that the children will have to devote some hours to their small farms (2 hours per week minimum). During vacation the parents also getinvolved and give support to their children to take care of the piece of land. On the pieces of land, people grow vegetables, but mainly medicinal herbs which the Instituto Rural Valle Grande buys from them at a fair price in order to make different kinds of tea. With the money they get from the sales, the students finance their graduation party or pay for their school materials, and in this way they help their parents–who have very limited buying power. In the past, alfalfa (lucerne) was grown on many pieces of land, but people didn’t get a lot of benefits from it. Now, with the medicinal herbs project, children receive money every 2 or 3 months. Their schools are in charge of distributing the money in an equitable way. At the Institute, they have an experimental center where they also want to implement this agricultural model to share it with more people. ”What we want to transmit is not only technical training but also human values. Our intention is to continue working, to leave something, to see happiness reflected in people’s faces, to see the face of an excited child, to be an example, and to give love to people. Among the people who have supported this cause are a doctor who donated approximately two hectares of land and some people from Canada—friends of Mr. John Jeavons—who gave them the English version of How To Grow More Vegetables . 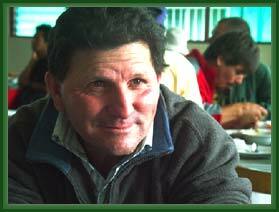 Francisco was the person in charge of the production of the land, so he started working with those elements. At the beginning it was not easy at all because the land was not good for growing food and was located on a very steep slope with a lot of grass. Besides, Francisco does not understand English, so he interpreted the text as well as he could and put into practice the production model that had been entrusted to him through John Jeavons’ book. They were also able to dig a well and to get some chickens, rabbits, doves, and even some horses. Besides, they planted 700 different kinds of fruit trees. With the work experience he obtained, Francisco became really interested in the situation of the peasants in his country; therefore, he started spreading the Method and his experience outside the shelter and also organized fairs with the peasants and with the help of the Ministry of Agriculture. For the time being and in order to support himself and his family, Francisco works his father’s land (approximately 2 hectares). There he grows different kinds of flowers in Biointensive beds and also different kinds of native trees that he uses to give shade to part of his field. 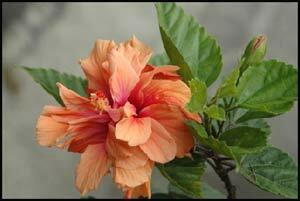 Over time, by using compost, he has been able to improve his soil and flowers. “The plot is now beautiful, and my family is very happy!” says Francisco with some sparkle in his eyes. In his free afternoons, he teaches catechism and gives talks to children and teenagers. Mercedes was born in the historical Center of Quito. “I’m totally urban, I grew up surrounded by churches, bells, convoluted streets, etc. I strengthened my historical identity and my roots through the stories my grandmother told me.” Since she was a little girl, she realized she needed to teach and to recreate the history of her country in her games or by telling stories and tales to whoever happened to be with her. Some years later, she became a Professor and taught some groups how to read and how to write. She studied Educational Psychology and took a postgraduate course in Group Therapy and specialized in Human Nature. Then, she started working in projects to benefit the society in Latin America and the Caribbean. Life continued giving her opportunities to teach, and later she became a facilitator in projects related to Non-Formal Education for Adults. During those 10 years, Mercedes understood that people in Latin America share the same dreams and ambitions but also the same challenges and poverty. At that moment it was really frustrating for her not to know how to respond to those needs. In the year 2000, Mercedes lost everything she had–including her hope—due to the terrible economic, political, and social crisis that hit her country. Around the middle of the same year, Juan Manuel MartÌnez invited her to participate in the making of a manual about the Biointensive Method that would be done in collaboration with John Jeavons. In her book “Agujas de Hilo Azul” (“Blue Thread Needles”), Mercedes tells the story of a woman who dreams of being a writer and a sower. The book ends by saying that the Sower is the one who writes on people’s skin and that the Writer is the one who plants in people’s. I believe that has exactly been Mercedes’ philosophy in life. She went back home and one Sunday her mother sent her to visit one of her aunts in the city, one who had a good economic status and high social standing. When she got to her aunt’s house, there were two other well-to-do relatives visiting, and Urbelinda remembers that all of them looked at her from head to toe and said she was a very beautiful girl but that she was very poor and didn’t go to school. Her aunts sent her mother a message saying they wanted to see her. When she got home, Urbelinda told her mother about it, and she immediately went to the city to talk to her relatives. When her mother got back, she told her to get ready because she was going to go to the city to live with her aunt. For her mother, the opportunity for her daughter to go to school was a blessing, and that’s why she decided to send her to the city. Some years passed, and Urbelinda saved the little money she earned so that her mother could buy her a cow with the purpose of selling it to pay for her registration to enter the university. And so it happened: she sold the cow, entered the university, and studied seriously and at the same time worked hard until she got a scholarship with boarding at the university, and then she could leave her uncle and aunt’s house. Everything turned out wonderfully at the university. She majored in Medicine and when she finished her studies she did her internship in Santa Cruz. There she fell in love with a doctor and got married. Soon, both of them got a 4-year scholarship to specialize in Italy. Once back in their country, they started working enthusiastically but faced a lot of discrimination on the part of their colleagues, and so it became harder and harder to get a job. Urbelinda started teaching at universities and worked on the periphery of her region. She had a lot of experience in Pediatric Medicine but no job opportunities. Due to the lack of a job in her region, she decided to major in Biology in 1992. Because of that she found out about and became involved in topics related to the health of the planet, pollution, loss and mishandling of natural resources and the consequences people suffer due to all of that. So when she finished her major, she chose to take jobs related to those topics. She became a collaborator in the Asociación Ecológica del Oriente (Ecological Association of the East) and got a master’s degree in Epidemiology and Advanced Pediatrics. Because of the high degree of malnutrition in her country, she thought it was of the utmost importance to find a solution for food security and since very little could be done to heal people, she focused on preventive medicine. 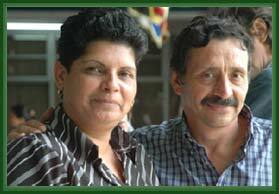 In 2003, she contacted Juan Manuel and asked him for a training course on the GROW BIOINTENSIVE Method for Paraguay, Argentina, and Bolivia. That course would be given at the San Francisco de AsÌs school through the Red de Lucha contra la Desertificación (Struggle Against Desertification Network). It was a very successful workshop! Urbelinda attended and learned more about the Method, but since she was a part of the coordinating group she could not participate in the practical sessions because she had to take care of other tasks. 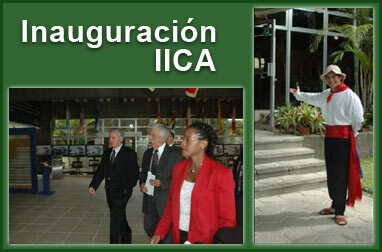 In 2004, she won a scholarship from the Instituto Ambiental (Environmental Institute) to attend a conference in Mexico. When she heard that, she contacted Juan Manuel and told him of her great interest to get trained in the Biointensive Method. 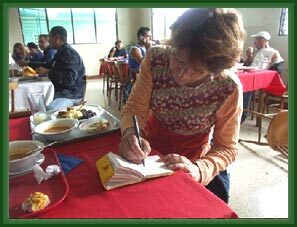 Juan Manuel arranged a 15-day course for her to become trained in the Biointensive Garden of the Agroecological Ranch “Las CaÒadas” with Ricardo Romero in Huatusco, Veracruz. In 2005, in collaboration with Fernando PÌa, an Agronomist with a great deal of experience in the Biointensive Method in Argentina, she organized a course in Bolivia addressed to professionals and the general public. Thirty-five people were trained in that course. She implemented Biointensive, demonstration beds in the Ecological Association’s garden to show the neighbors and the communities the results that can be obtained with the Method and to convince them of the fact that it works and that it is worthwhile to practice. THANKS to Everryone Who Helped with the Workshop! Due to the fact that the timing of this agenda is very dense and the funding is not assured, the dates may change. Very probably the activities programmed to take place in November will be moved to the year 2007 except possibly for El Salvador. Argentina, Chile, Ecuador and Mèxico are not included. Some days have passed since we said good-bye in San Jose and the truth is that we miss the friends we met in the workshop everyday more; however, in the distance I would like you to know that we are very happy because the workshop was a delightful and extremely valuable experience for us and that we think it will be the same for people here at our university and in our region very soon. The truth is that there are already many professors inquiring about the Method and in the next days we will be giving a small course to share what we learned from all of you--our teachers. Also, we are organizing together with two students from the last semesters a research project to investigate how to adapt the Method to our conditions, our crops, and our culture but always respecting the theoretical basisÜof the Method and that are really clear to us. Besides, we have been using Fernando's video to show some groups of students some aspects of the Biointensive Method and they are already asking us to give a practical course to teach them how toÜstart out with the Method.ÜIn addition, since the university is developing some programs with poor rural communities that have problems regarding their food security, we have thought about the fact that we have to work with the Biointensive Method with the people that work with those communities. There's another program called Educational Rural Service and through that program it is possible that people who live in the country can finish their basic education (elementary and junior high school). We will try toÜget the instructors involved so that they start working with the Method with the students. This is what I can tell you regarding the results of the work we have been doing after the workshop. I apologize for not having started this e-mail by asking how you are and how you found everything when you arrived in Mexico. We want you to know that we are really thankful to you for having had the privilege of receiving your invitation to attend the course. We hope that in the near future we can share some time again--hopefully here in Rionegro, Colombia, so that theÜmore people get to know and use the Method. A fraternal hug to you and please give my love to all our Mexican friends. To define the concrete and tangible results that will be brought about by the execution of the planned activities. Those results should clearly contribute to the securing of the specific goal established in advance. • 50 Agricultural Technicians will get to know the Method and will be able to transfer it to other technicians and producers inside their job areas. • 50 University students will have a new tool to be applied in their future workplaces. Besides, it will be an original topic to be used for their theses. • 50 Producers and housewives will be able to implement the Method in their production farms and thus will improve the environmental, nutritional, and poverty problems present in their families and communities. Also they will be guided to give these techniques to other settlers in rural areas. • In principle, 10 high schools–including the Santo Tomós de Aquino Experimental School from the UCATECI–will start the practical sessions to adopt the Biointensive Method in their school gardens. • A Regional Center for the Development of Biointensive Agriculture will be installed. In that place we will monitor the work started after having been trained by an expert Mexican. • A Transfer Project with the resident families will be implemented around the Regional Center with the purpose of creating a model community based on the Biointensive Method. As a Principal of the Agricultural Engineering School of the Universidad Central del Ecuador, it is a pleasure for me to write to you to thank you for the knowledge you shared with us during the Workshop on Biointensive Agriculture held in Costa Rica which I attended and from which I keep really good memories. When I returned, I immediately started working on a 9-bed garden that also has fruit trees, I feel really happy and thankful for this. At the university, we are consolidating a Demonstration Biointensive Garden; ADYS is giving us advice and I already have the support of the Social Welfare Ministry in my country. It is a 50-bed garden and each student has to start one at home or with a neighbor to be able to get a grade; this inÜmy opinion will have a great multiplying effect on what I learned. Besides, we are about to approve the first thesis in which a student will determine the effect several compost treatments would have on the physicochemical and biological characteristics of the soil and production because we are going toÜcarry on a research follow-up in order to show the benefits of this sustainable method. Also, we already reached an agreement to establish another demonstration center in another ranch that belongs to the university. There, we will be working with ADYS to promote the Method in the province of Cotopaxi. In order to prepare students better, we need to have more bibliographic material. Due to this, I would like to request obligingly your collaboration to help the library that belongs to the Agricultural Science Faculty of the University. We need all the printed material and videos you have published which will serve as reference material for students and professors. Ing. M.Sc. Arturo Orquera C.
The main language was Spanish, and there were three English translators. Materials were in both Spanish and English.